Anyone who reads Jorma Kaukonen's memoir Been So Long is bound to be surprised. But what the venerable musician recounts in My Life and Music may startle fans and followers most of all, not just with the account of all his trials, tribulations and epiphanies, but by the tone of equanimity with which he shares those experiences. Jorma's wry prose is remarkably similar to the modesty and good nature with which he speaks on stage during a performance, qualities that, not coincidentally, infuse the lyrics to the songs he writes (all of which are included as suffix to the main content here). It's very much worth noting that, although the photo of the author on the cover looks dated at first, circa 1967, the hand gesture he's making signifies the focus permeating his book: thumb and forefinger making a circle through which he peers with one eye. Likewise, the title of his tome seems incomplete, as if it's missing a phrase that would confirm and clarify its overarching theme(s). Yet the three-word phrase hangs in the air like that perfect harmonic note the likes of which this man has struck on a guitar, countless time during his fifty-year plus career. Kaukonen knows full well how those notes say all that needs to be said, as often as not completing the communication of the otherwise ineffable. And so it is that this story of a life lived in and out of song radiates an unerring sense of direction, its barely discernible momentum leavened with purpose and commitment often sidetracked, but never wholly interrupted, by Kaukonen's own personality. Founding member of Jefferson Airplane, the guitarist/vocalist/songwriter went on to form the band Hot Tuna with the iconic San Francisco band's bassist Jack Casady, an enterprise that, like the pair's abiding friendship (curiously given somewhat short shrift here), has taken many forms and fewer breaks over its nearly five-decade duration. An intermittent solo career during this prolonged interim has nevertheless allowed Jorma to keep a journal, inserts from which he inserts to function as something of a Greek chorus for the main narrative: that combined approach supplies additional clarity, like the panoply of color and b&w photographs (captioned with wizened acuity) offering insight from slightly different but equally illuminating perspectives (there's a latter-day version of his cover photo for instance). Over the last decade and a half, Jorma Kaukonen's perspective on the world and his life within in it has crystallized noticeably and his composition of Been So Long, like the development and expansion of his music education and performance combine called Fur Peace Ranch, bears witness to what now seems an almost inevitable evolution toward a center of gravity he can call his own. Not that Jorma takes too much for granted as he discusses his formative years and subsequent encounters with the likes of famous figures like Janis Joplin and the Grateful Dead's Jerry Garcia, but his approach becomes even breezier as the pages turn. The colloquial tone of the prose, in fact, renders much more readable the earliest passages covering the author's family history, his multiple admissions of family dysfunction clearly leaving an imprint he wears to this day, albeit in more graceful acquiescence that when he was younger. There is that segment, devoted to his adolescence, however, where he sounds guarded and almost guilty in describing his early hi-jinks with schoolmates involving the joys(sic) of alcohol and the conundrum of sexual pleasure. Within these pages Kaukonen begins the use of 'G-d,' a conceit bespeaking a somewhat defensive attitude about at least some of the vagaries of his life. It is a somewhat curious stance that otherwise belies his increasingly frequent declarations of contentment. 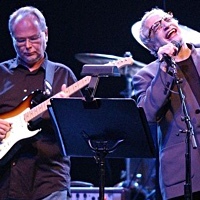 Perhaps as a direct extension of that guarded attitude, Jorma speeds through the Airplane years (in more ways than one), making sure to denote each recording and other such milestones as the 1969 Woodstock festival, but doing so in an almost obligatory way. 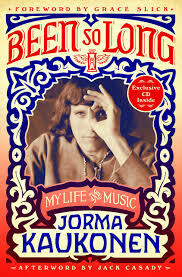 Even as Jorma speaks to how his craft and career evolved into, then through this period, he is quick to point out-and far more than once-how his personal life remained static, including but not limited to, his marriage and his substance abuse ("mentally modified" he describes the latter state of mind). Kaukonen downplays the volatile nature of the former relationship to some degree (remarks about its violent exchanges are usually offhanded), but he is also careful, perhaps overly so, to point out how speed-skating, the somewhat offbeat pursuit in which he and his spouse share an interest, gives the couple a mutual interest that prolongs their marriage. 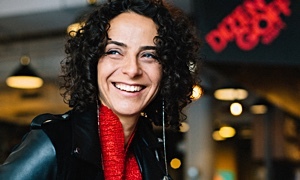 Training and competition overseas, however, is a financial burden only recording and tour will allay, so the musician always returns to his first love, as much for practical as creative purposes. And, as the man points out so explicitly (and somewhat redundantly) late in the book, music has always provided a focal point of stability within whatever whirlwind of personal and/or professional activities were in play at any given time. 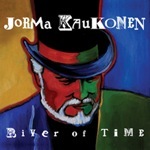 It's thus seems only natural that, in the end, Been So Long follows a course much like the automobile trips and motorcycle excursions Jorma has often undertaken and continues to relish so much to this day: the routes are sometimes circuitous, but ultimately constitute forward progress. Even when unexpected parenthood threatens to intrude upon the establishment of the Fur Peach Ranch, the nurturing of the performing and teaching combine became and has remained a veritable eye of a hurricane for him. Within these three hundred-some pages, Jorma Kaukonen is occasionally reflective to a fault, perhaps in overcompensation for his self-professed insularity during his youth (and beyond). But quite clearly, Been So Long is simultaneously a means to an end and an end in itself: his intent is to reveal himself to himself first, and only then to the reader. It then makes a certain amount of sense that, in their respective foreward and afterward, former and present-day bandmates Grace Slick and Jack Casady would not claim to know this man intimately, but rather seem to admire him and his tale from a distance, with healthy and affectionate detachment. If that is a rarity for such autobiographies (like the absence of any ghostwriter or co-author), it is far less of one than that which proceeds from the conclusion of My Life & Music. 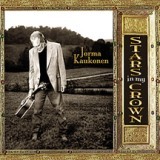 Jorma Kaukonen would seem to have as much to look forward to as look back on, which makes the reading of Been So Long a decidedly uplifting experience, second only to hearing the man's music, as included here on the five-track sampler of live cuts, but hardly limited to it.